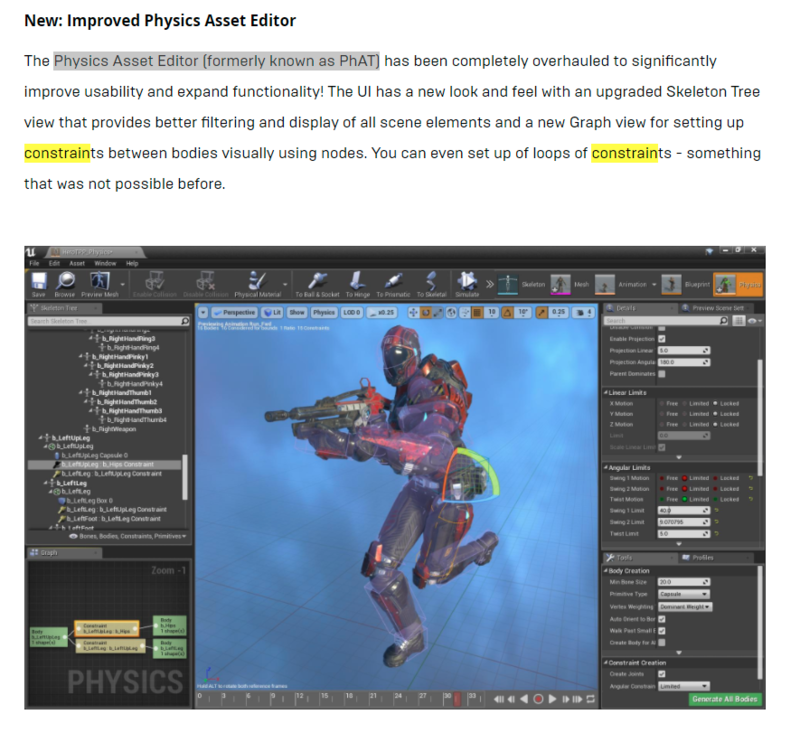 > The Physics Asset Editor (formerly known as PhAT) has been completely overhauled to significantly improve usability and expand functionality! 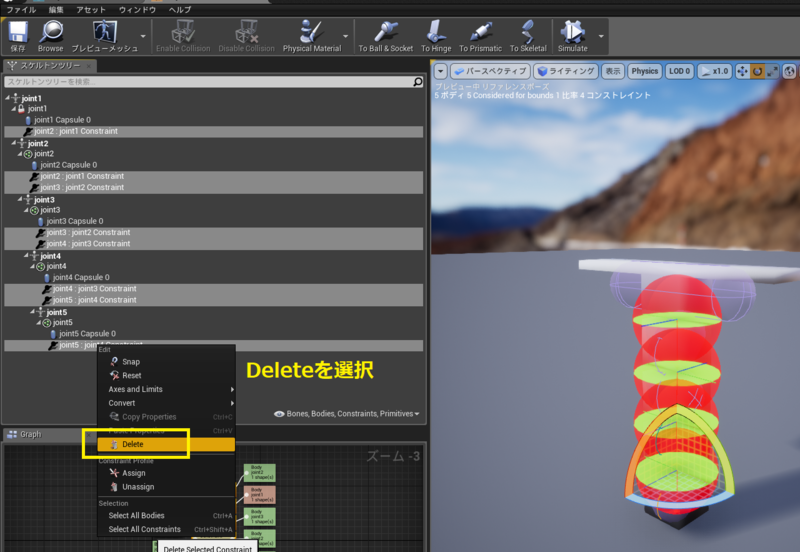 The UI has a new look and feel with an upgraded Skeleton Tree view that provides better filtering and display of all scene elements and a new Graph view for setting up constraints between bodies visually using nodes. 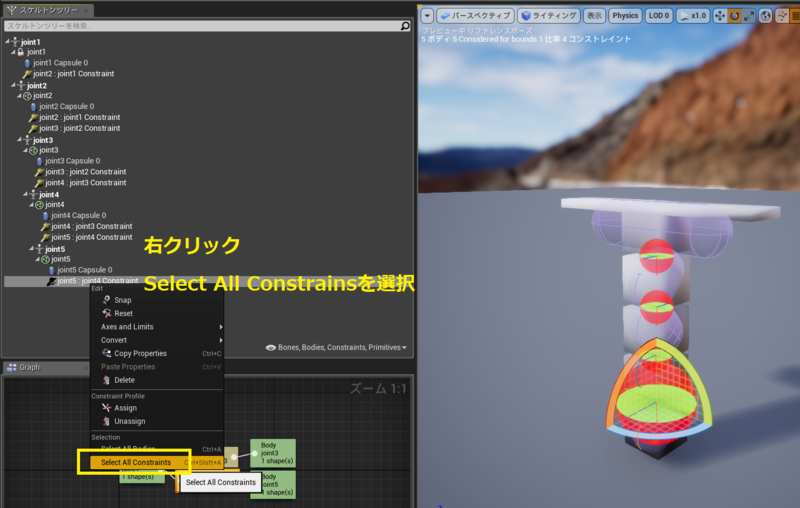 You can even set up of loops of constraints - something that was not possible before. 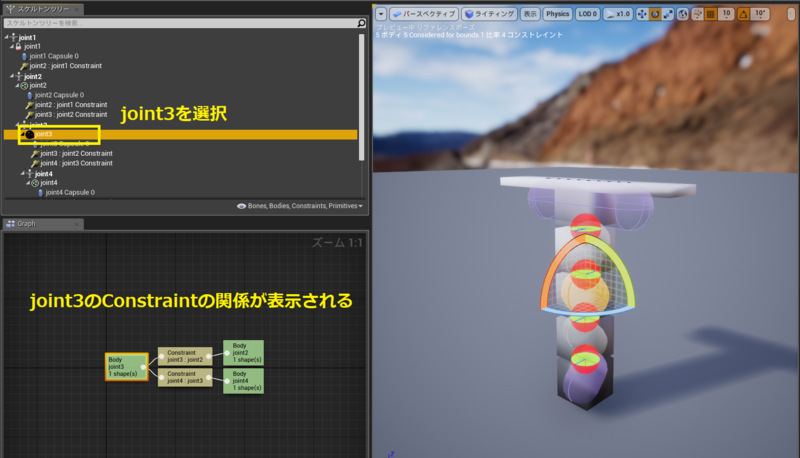 > - Time dilation works with animation and physics together and is quickly set in the viewport menu, like in the Animation Editors. 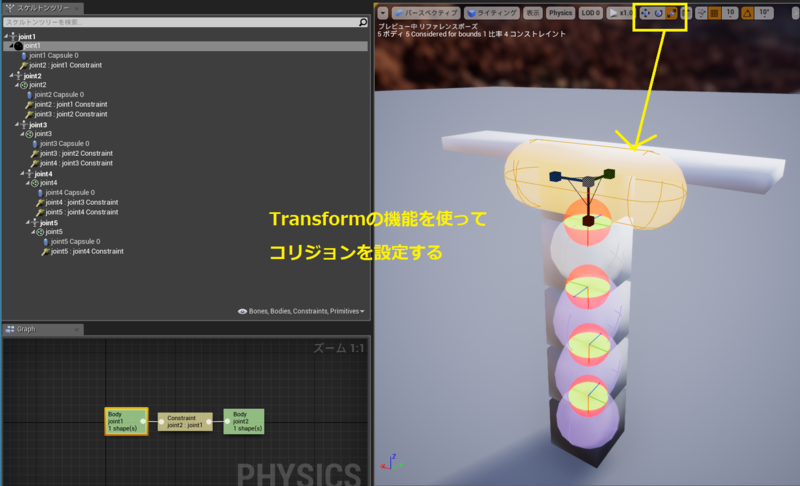 Recording is now controlled from the transport controls like in other Animation Editors. > - Physical animation and constraint profiles have a revamped UI. This allows easy selection, assignment and management of constraint and physics profiles. > - Constraint & body mode are no more. 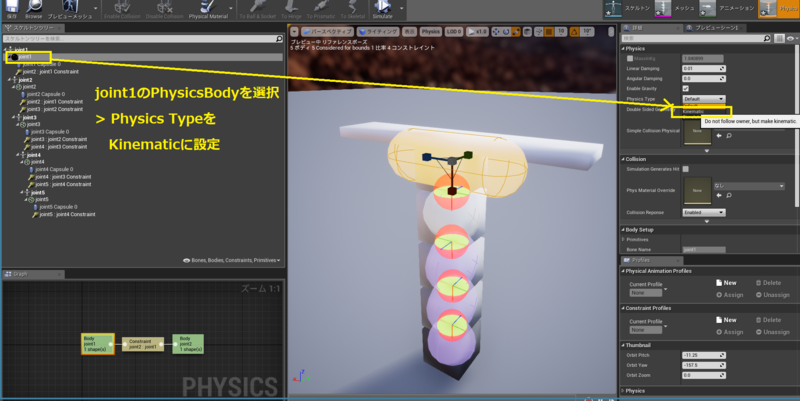 We now display constraints and bodies together. Rendering of each can be enabled/disabled and filtered in the tree view & viewport. 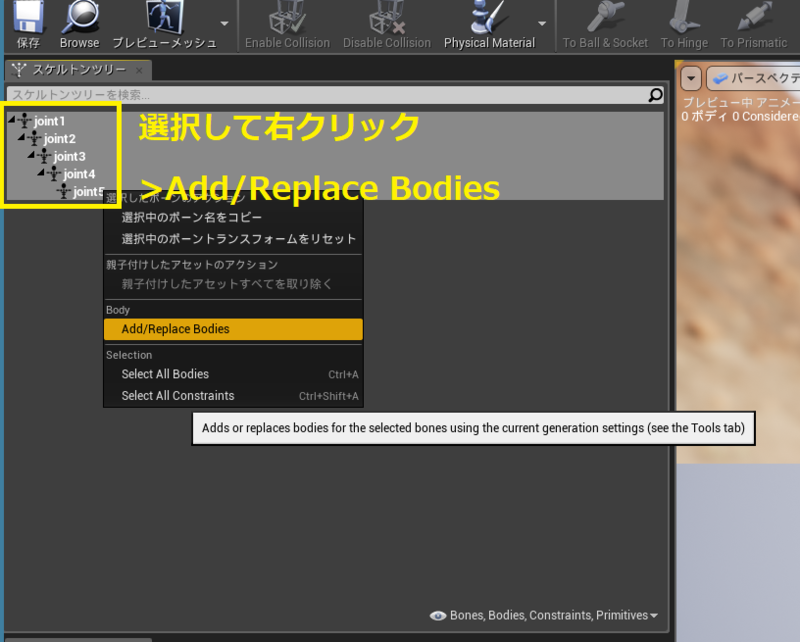 > - New body creation has been moved to a new ‘Tools’ tab instead of the modal dialog we had before. This improves iteration times on new assets, removing 3 clicks each time. 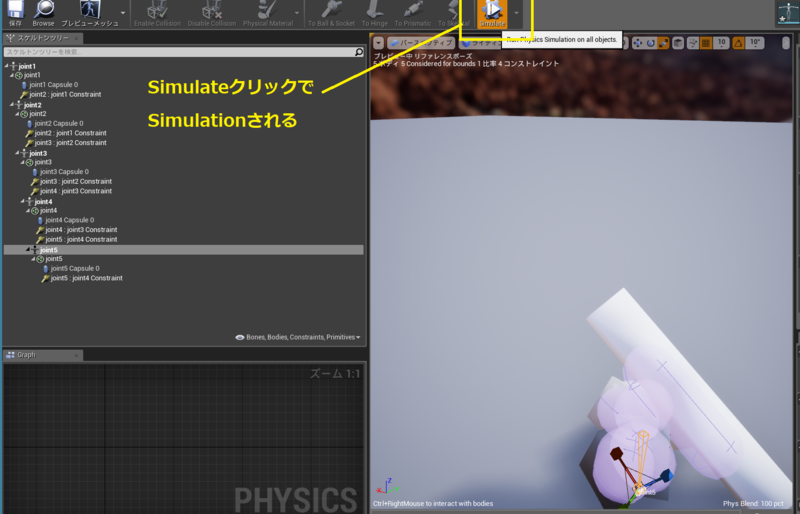 The same widget is re-used when we create new Physics Assets, as before. 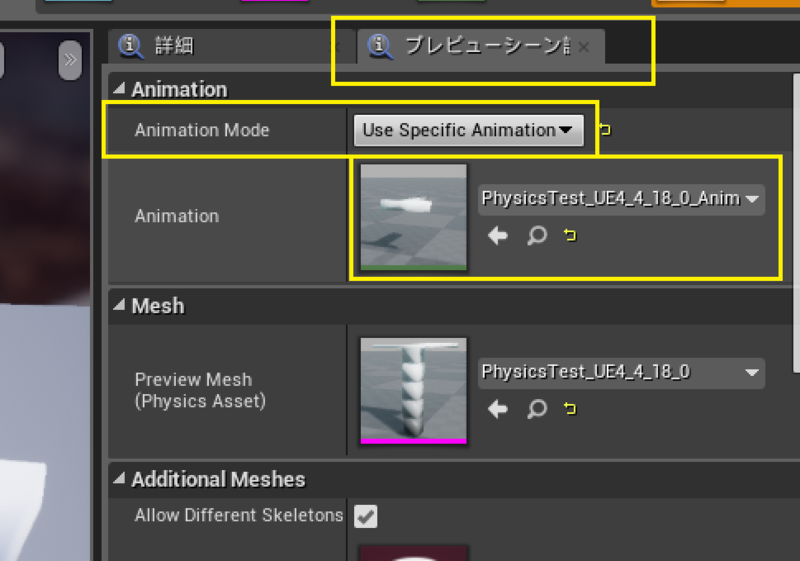 Physics Assets can now be created directly from the Content Browser. 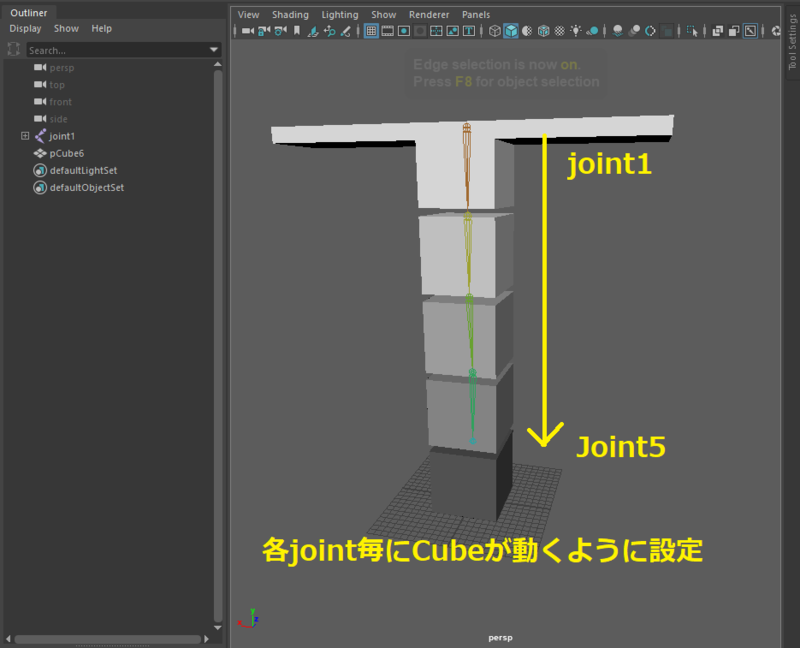 Previously they could only be created from a hidden context menu option of Skeletal Mesh assets. 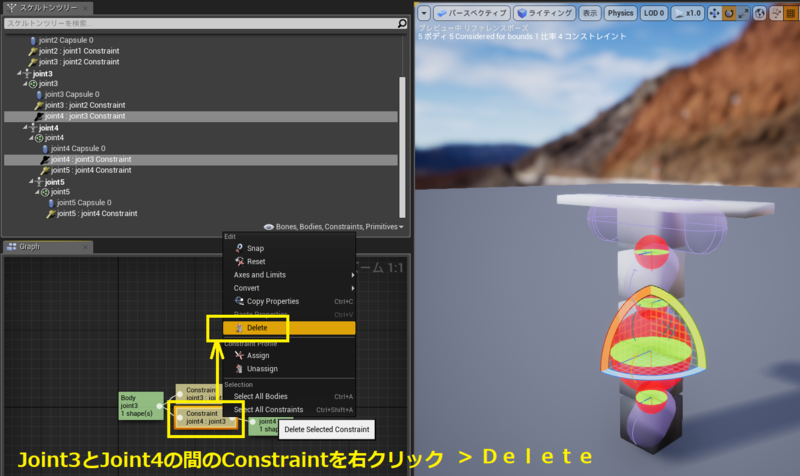 > - Operations that can be performed on bodies/constraints are now in all context menus, in addition to the keyboard shortcuts required previously. New: Multi-Convex Generation for Physics Asset Bodies"#"
4. New: Multi-Convex Generation for Physics Asset Bodies"#"